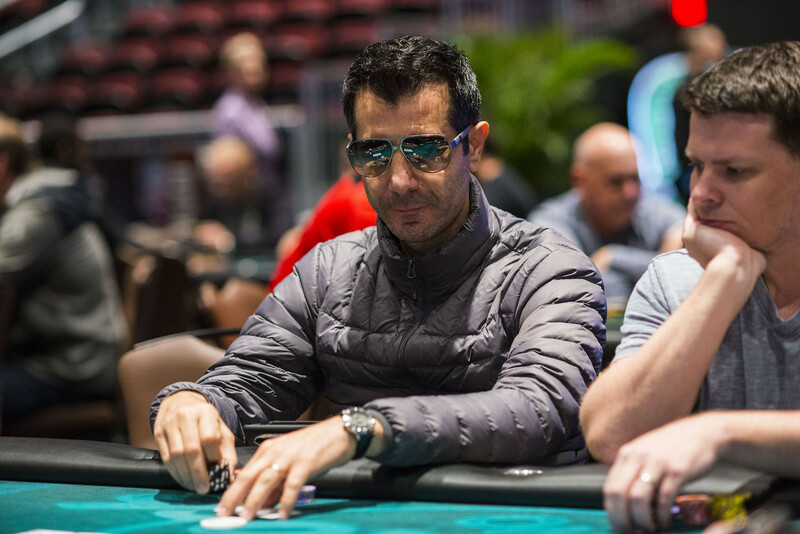 A player raises from middle position to 1,200, WPT Champions Club member Erkut Yilmaz (pictured) reraises from the cutoff to 3,000, and Brett Bader reraises from the small blind to 10,000. The middle-position player folds, and Yilmaz calls. Both players check to the turn on a board of , Bader checks, Yilmaz bets 7,500, and Bader thinks for a while before he folds. Yilmaz takes the pot.